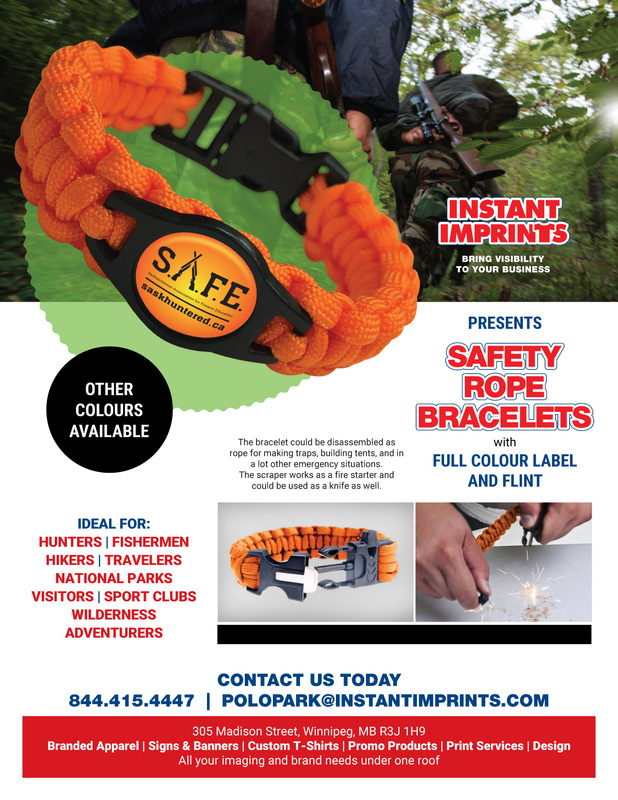 Instant Imprints Winnipeg, MB | Custom T-Shirts, Embroidery, Signs and More! 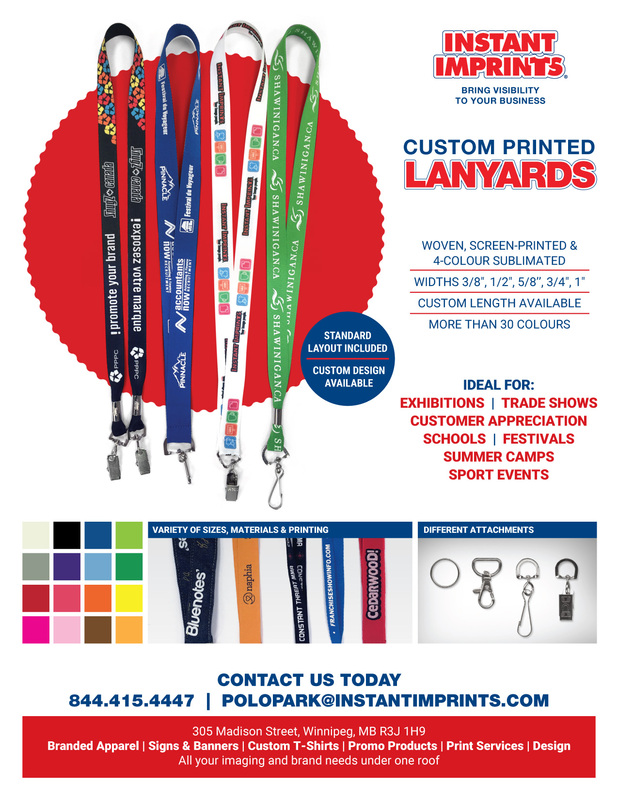 At Instant Imprints Polo Park, our customers come to us when they want to be more visible to their customers. 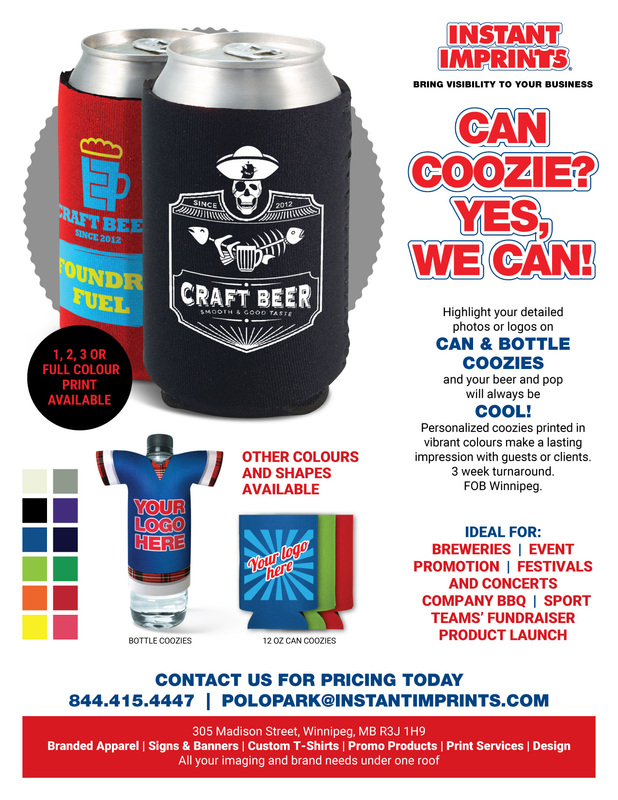 We create that visibility five different ways: Branded Apparel (embroidery), Signs & Banners, Promotional Products, Custom T-Shirts and Print Services. Is your business looking to bring its brand visibility to new heights? 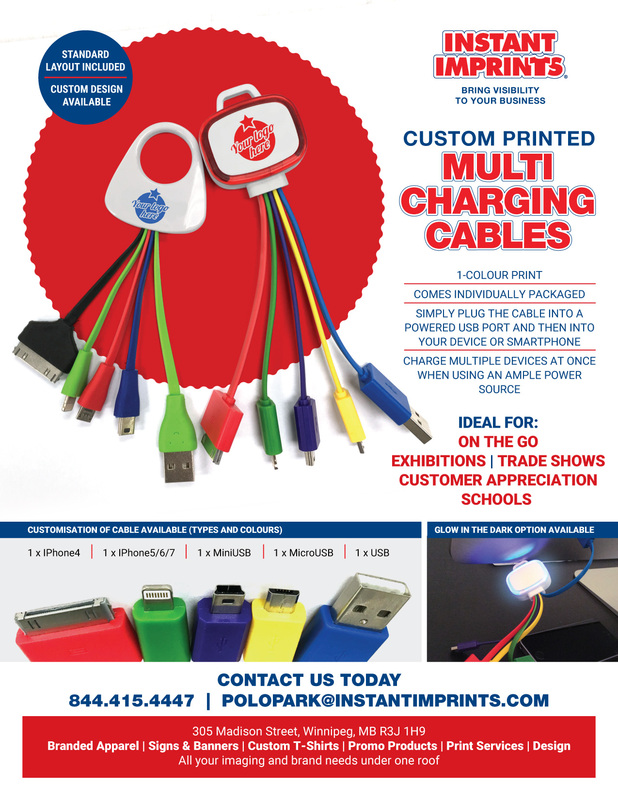 Then stop in at Instant Imprints in Polo Park! 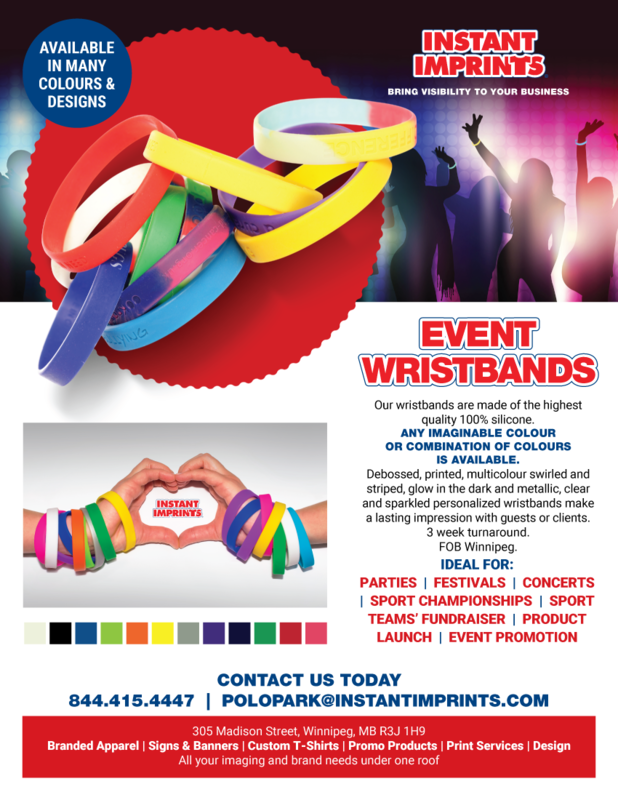 Instant Imprints custom t-shirts, printing services, promotional products, custom banners and branded embroidery items are some of the best in the industry, and our Image Experts are happy to help you with whatever your project needs. 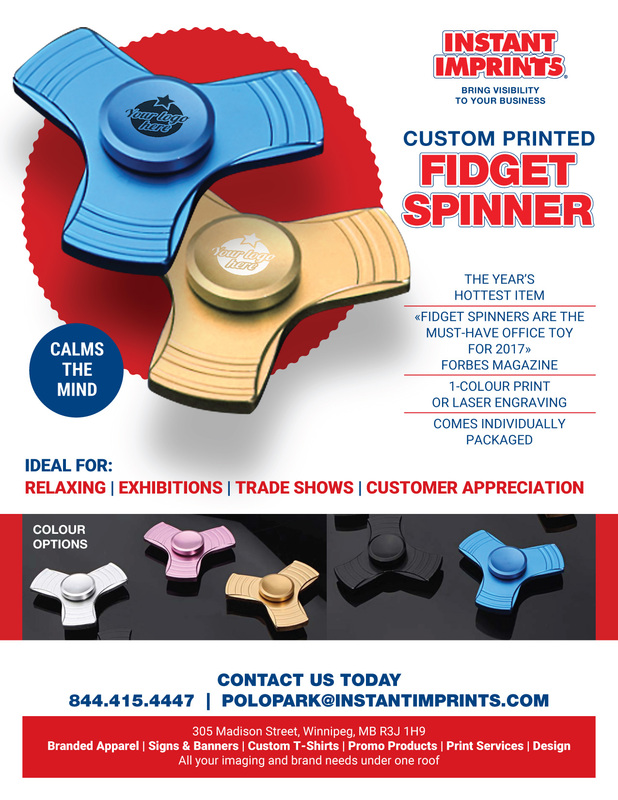 When you need the expertise of a global leader combined with the local touch of a Polo Park Image Expert, Instant Imprints is the print shop for you! 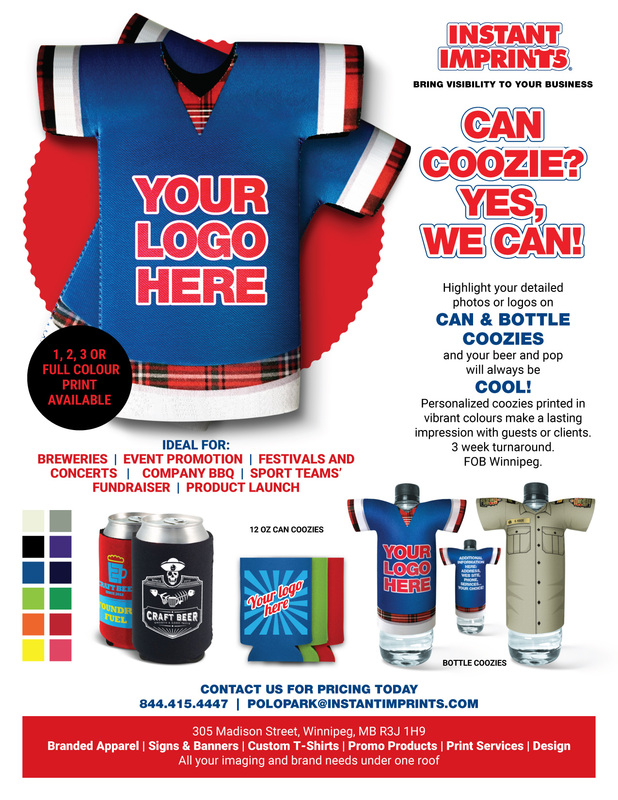 Across Canada, businesses know the promotional power of custom t-shirts. When you want to give your logo the legs to travel the globe, there’s no better way than a superior custom tee from Instant Imprints in Winnipeg. Giving away custom tees is a great way to attract new customers, or you can put them up for sale so that your most loyal customers can show their support. 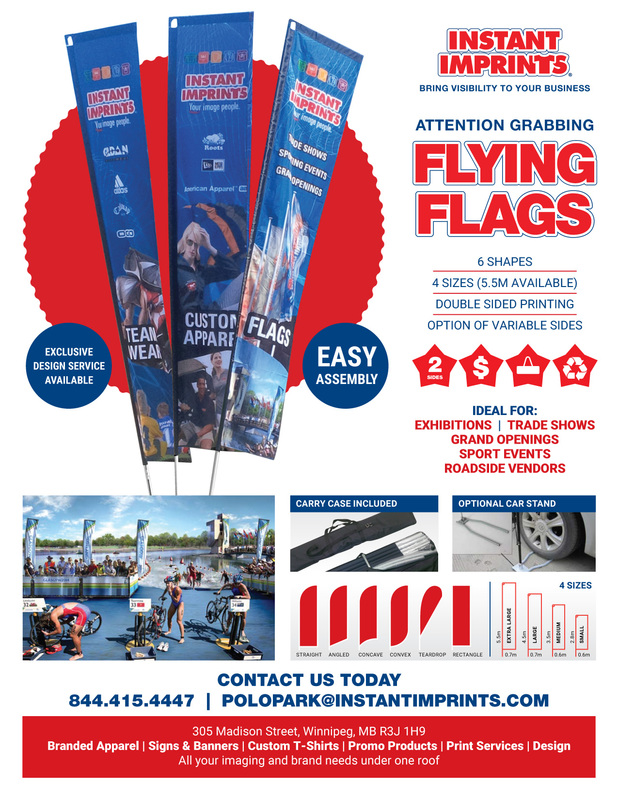 Your Polo Park Instant Imprints has multiple production processes available, so that you can make the perfect fit for your brand. If you’re not sure which style is right for you, our Image Experts are more than happy to help! Custom signs and banners are a classic form of advertising that brings attention to your business, wherever they are seen. 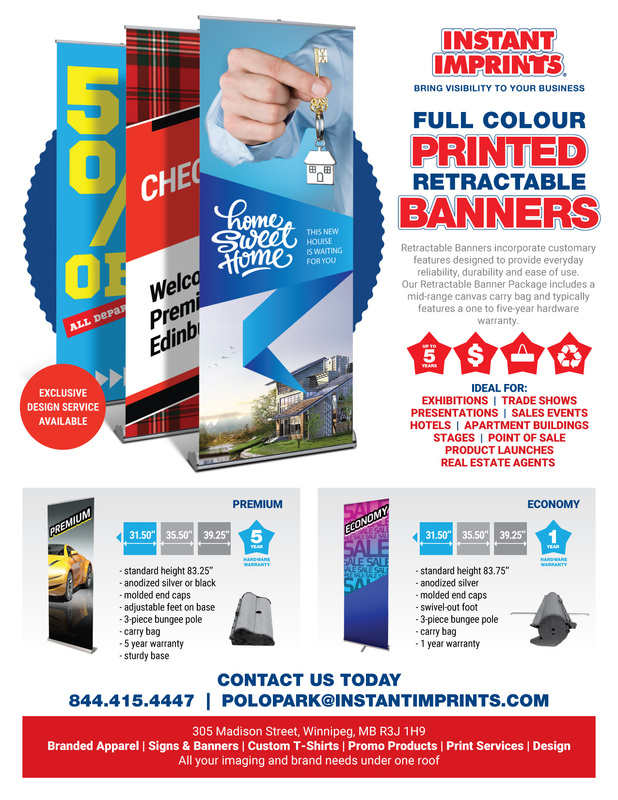 Instant Imprints in Winnipeg offers custom banner solutions that can fit the unique needs of your promotional campaign. 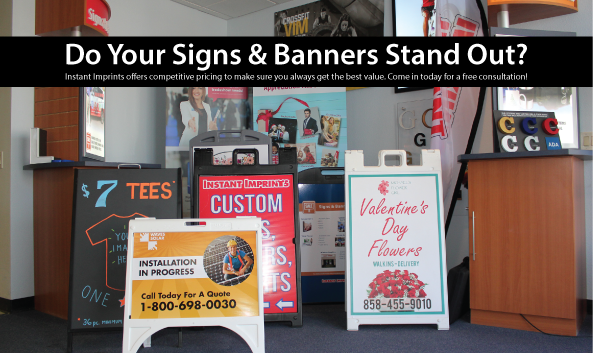 When you come by our print shop, you not only get the highest quality sign and banner service around, but you also get a team of Image Experts that are ready to help you from start to finish. 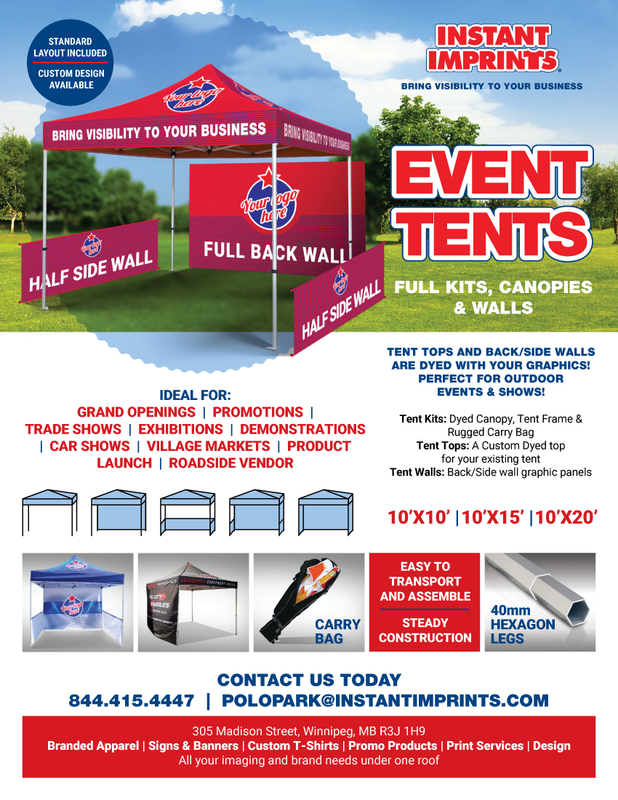 Your sign or banner is created from start to finish, all under one roof here in Polo Park! When you’re ready to get the tools to reach more prospective customers, stop by our Polo Park showroom, give us a call at (204) 415-5444 or request a quote online today!